This is a BRAND NEW LEGO® Star Wars™ Episode I 852086 Magnet set. This set is still factory sealed in the original plastic tubing and in very good shape. 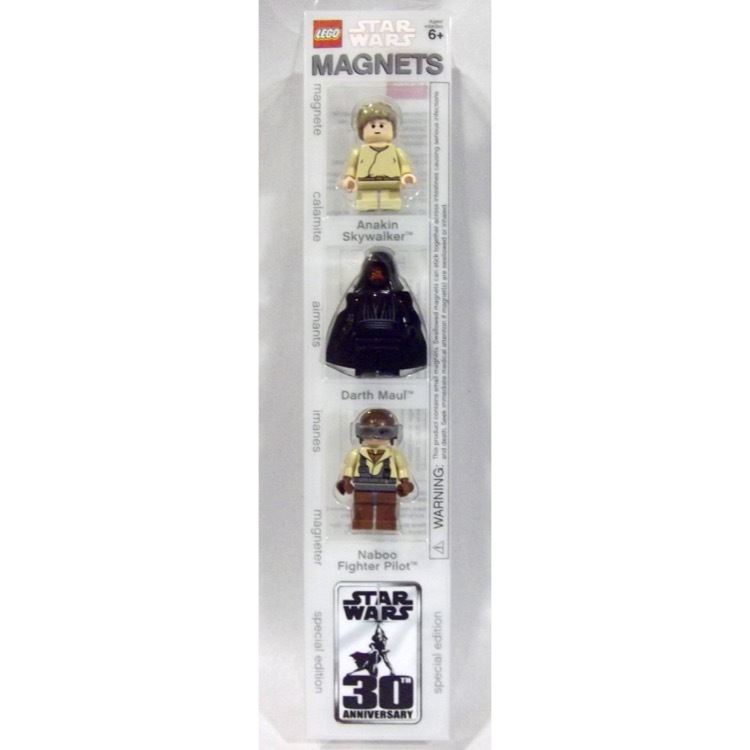 It contain 3 Star Wars™ Episode I minifigure© magnets: Anakin Skywalker; a Naboo Fighter Pilot; and Darth Maul. 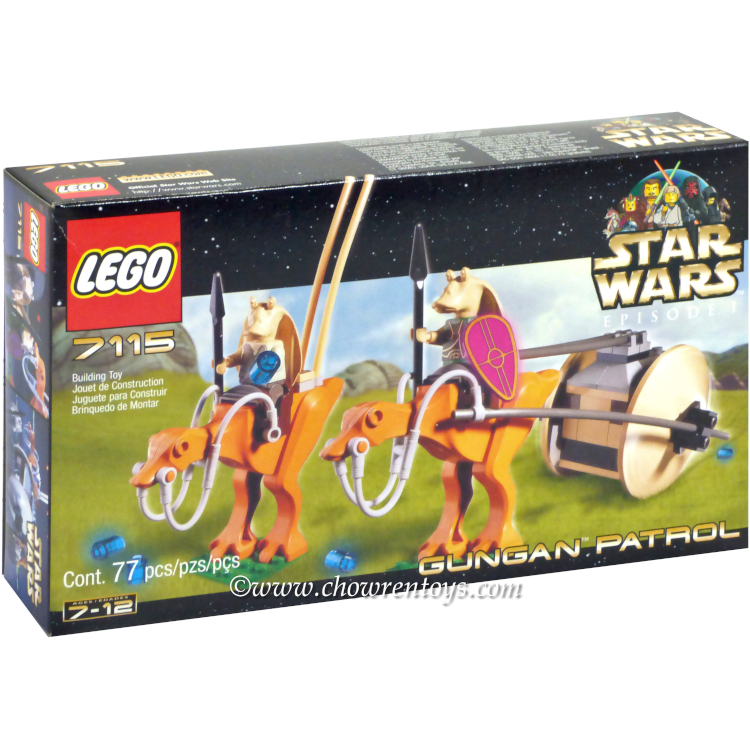 This is a BRAND NEW set of LEGO® Star Wars™ Episode I 7115 Gungan Patrol from 2000. This set is still factory sealed and the box is in very good condition with minor shelf wear. 77 pieces and 2 minifigures©. 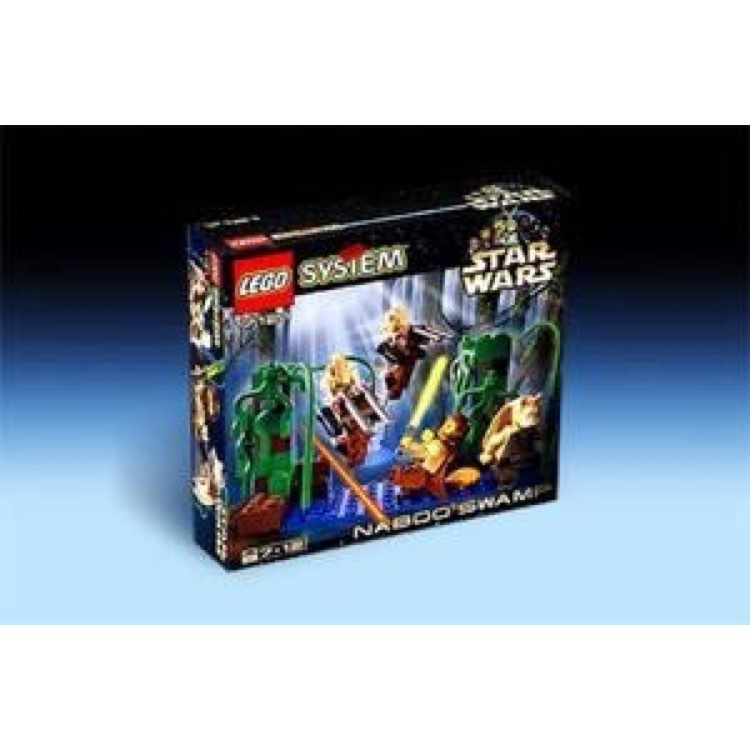 This is a BRAND NEW set of LEGO® Star Wars™ Episode I 7121 Naboo Swamp from 1999. This set is still factory sealed and the box is in very good condition with minor shelf wear. 81 pieces and 4 minifigures©. 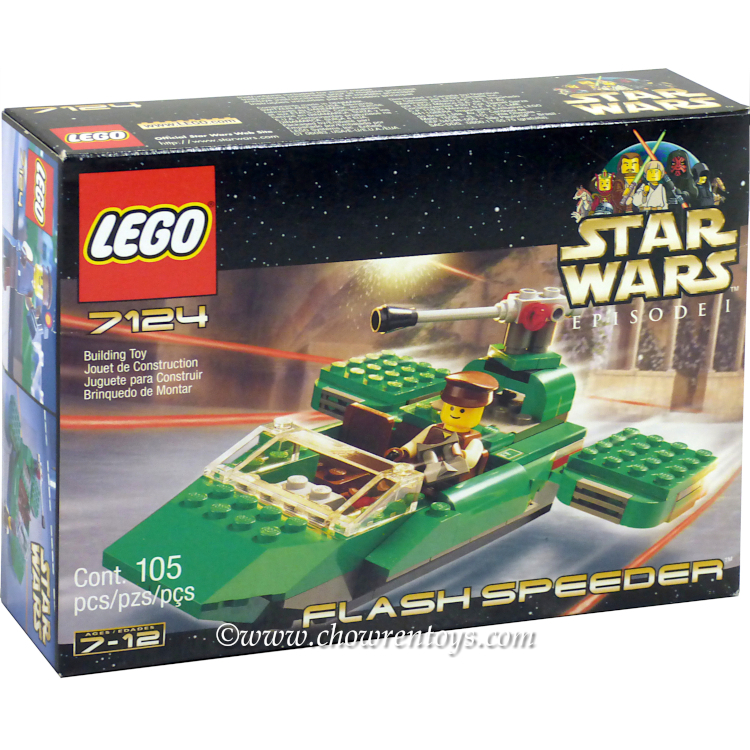 This is a BRAND NEW set of LEGO® Star Wars™ Episode I 7124 Flash Speeder from 2000. This set is still factor sealed, the box is in good condition with minor shelf wear. 105 pieces and 1 minifigure©. This is a BRAND NEW set of LEGO® Star Wars™ Episode I 7131 Anakin's Podracer from 1999. This set is still factory sealed, however the box is in rough shape with wrinkles, creases and shelf wear. 134 pieces and 2 minifigures©. 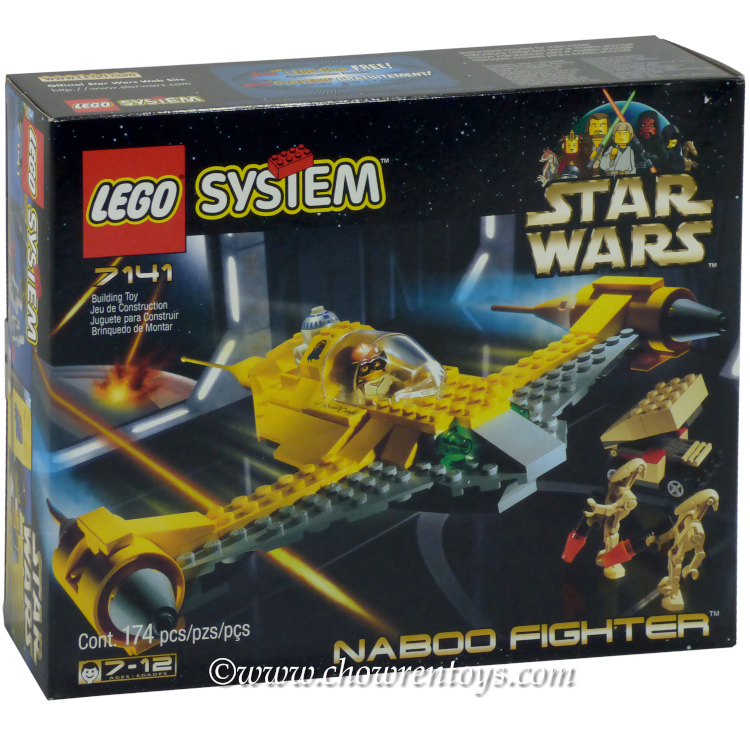 This is a BRAND NEW set of LEGO® Star Wars™ Episode I Naboo Fighter 7141 from 1999. This set is still factory sealed and the box is in very good condition with minor shelf wear. 77 pieces and 2 minifigures©. 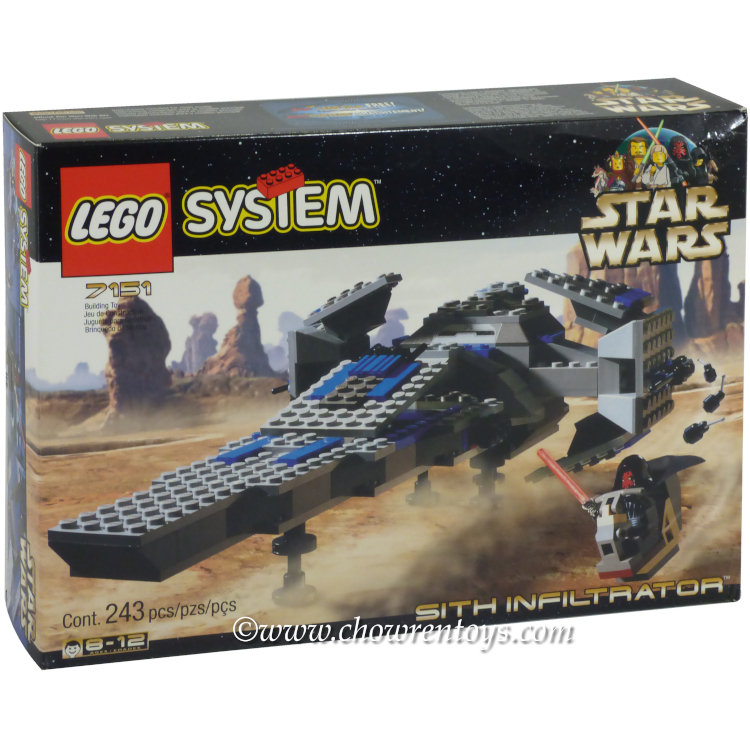 This is a BRAND NEW set of LEGO® Star Wars™ Episode I 7151 Sith Infiltrator from 1999. This set is still factory sealed and the box is in very good condition with minor shelf wear. 243 pieces and 1 minifigure©. 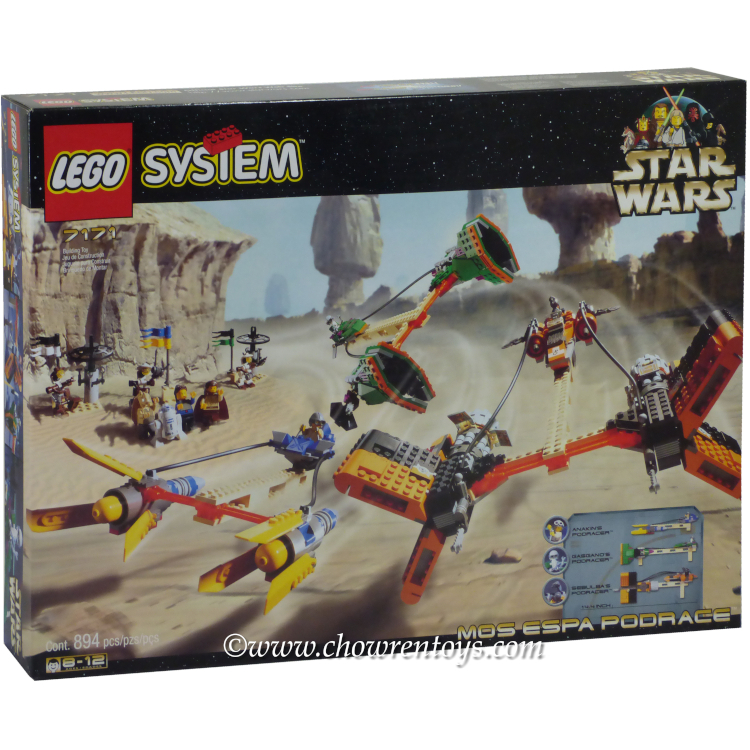 This is a BRAND NEW set of LEGO® Star Wars™ Episode I 7171 Mos Espa Podrace from 1999. This set is still factory sealed and the box is in very good condition with minor shelf wear. 894 pieces and 7 minifigures©. 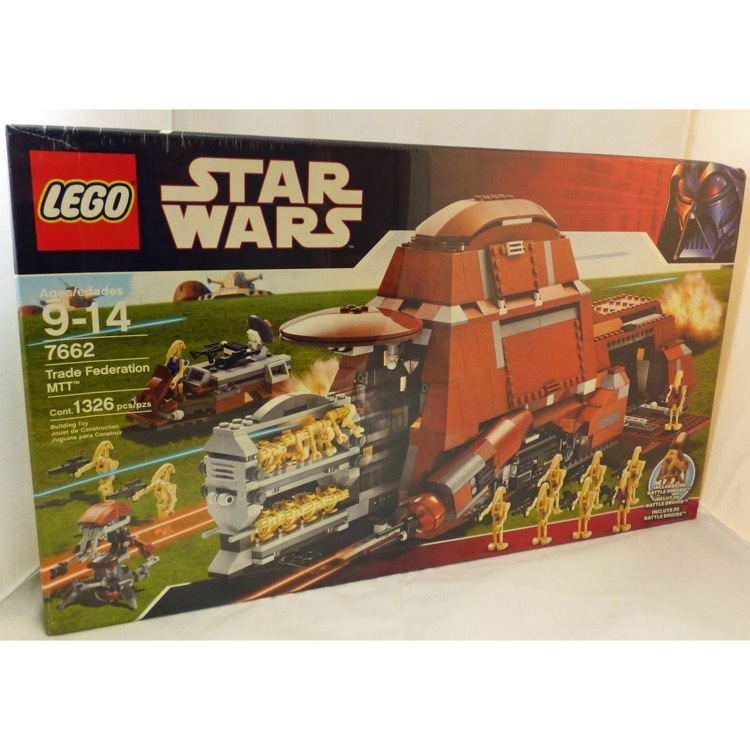 This is a BRAND NEW set of LEGO® Star Wars™ Episode I 7184 Trade Federation MTT from 2002. This set is still factory sealed and the box is in very good condition with minor shelf wear. 466 pieces and 7 minifigures©. 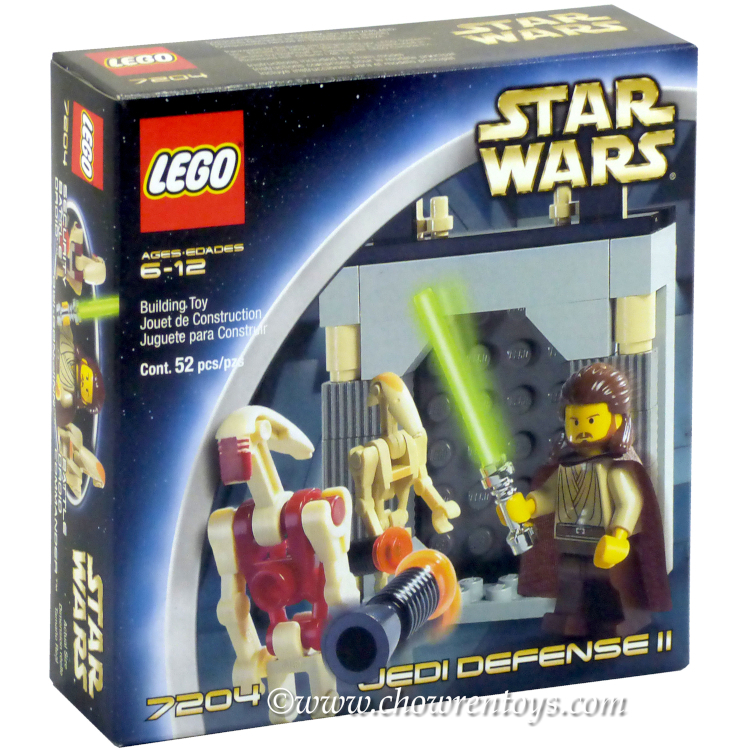 This is a BRAND NEW set of LEGO® Star Wars™ Episode I 7204 Jedi Defense II from 2002. This set is still factory sealed and the box is in very good condition with minor shelf wear. 52 pieces and 3 minifigures©. 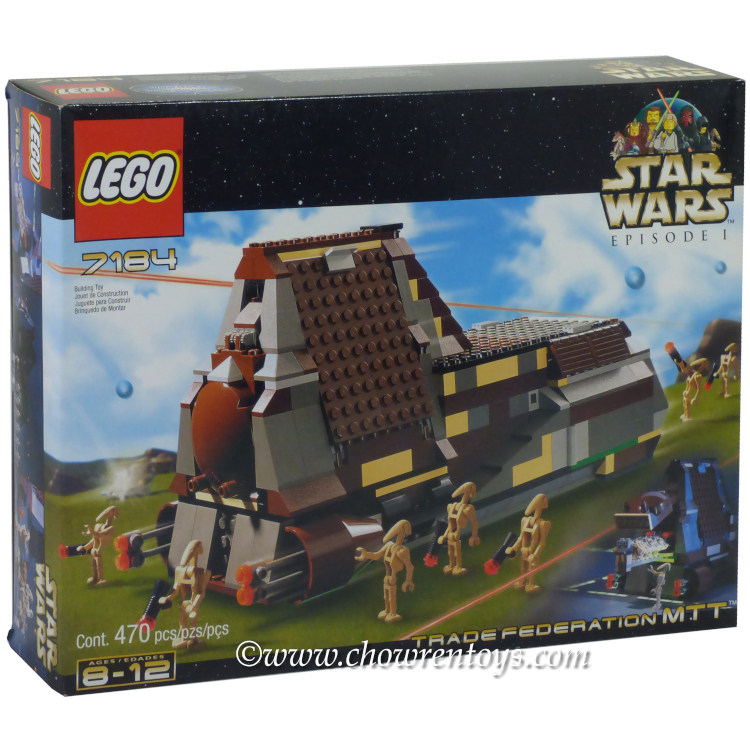 This is a BRAND NEW set of LEGO® Star Wars™ Episode I 7662 Trade Federation MTT from 2007. The contents of this set are still sealed, however 2 out of 4 seals on the box have failed and there is damage on both sides as well as a tear and shelf wear. We have shrink wrapped the set to provide further protection and maintain the integrity of the box. 1330 pieces and 20 minifigures©. 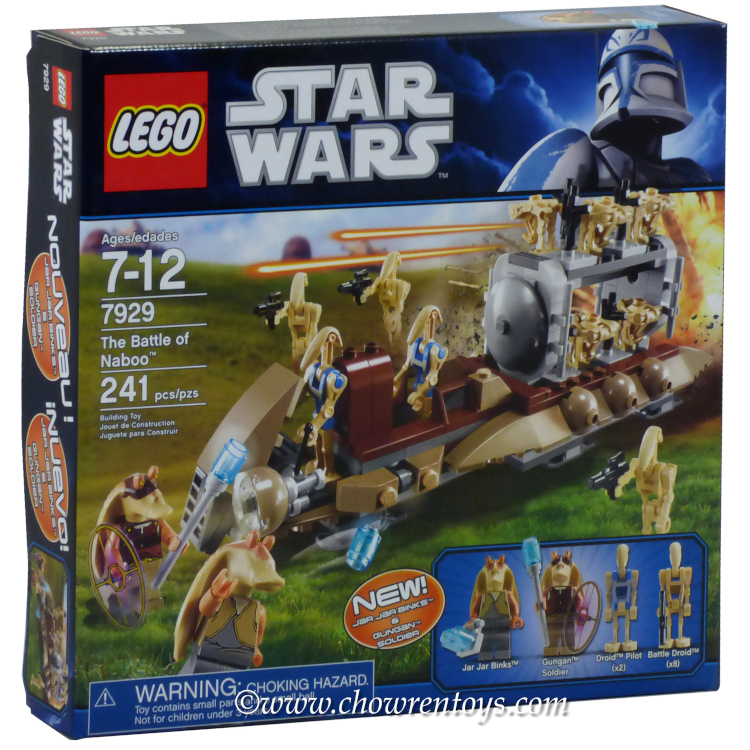 This is a BRAND NEW set of LEGO® Star Wars™ Episode I 7929 The Battle of Naboo from 2011. This set is still factory sealed and the box is in very good condition with minor shelf wear. 241 pieces and 12 minifigures©.